Wasps, spiders, and scorpions usually inspire feelings of disgust, and fear, but apparently, they can also inspire hunger. That’s right, people all over the world eat the creepy crawlers you would probably much rather step on. 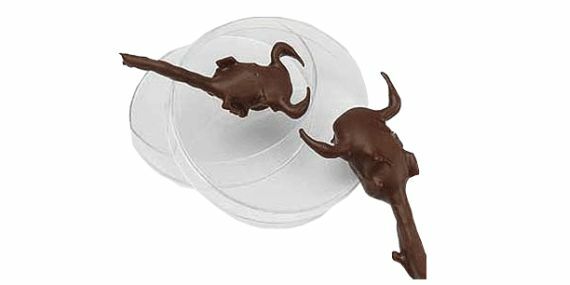 Of all the things you might expect to find buried deep inside a delicious chocolate shell, scorpions are pretty low on the list. It’s just like a Nestle Crunch bar… except with pincers, and a pointy tail. 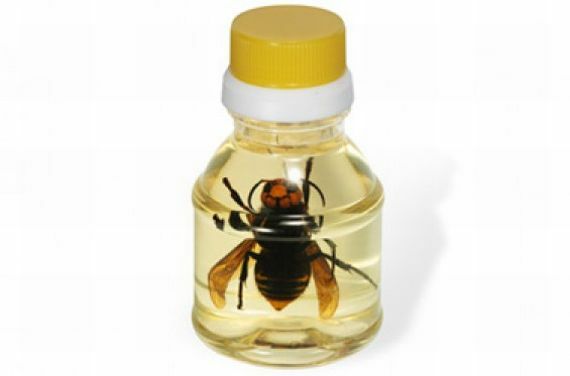 The giant hornet inside of each bottle is said to release enzymes into the honey that provide an energy boost, but we suspect that “energy boost” is actually terror setting in when you realize that there’s a giant freaking hornet inside your bottle of honey. 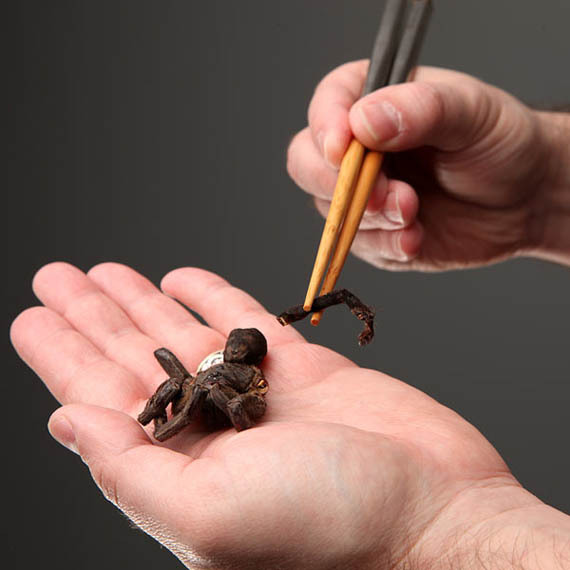 It’s baked, not fried, so it’s healthier than other tarantulas. Just remember to remove the fangs before you eat it! These wasp crackers are upsetting on so many different levels. 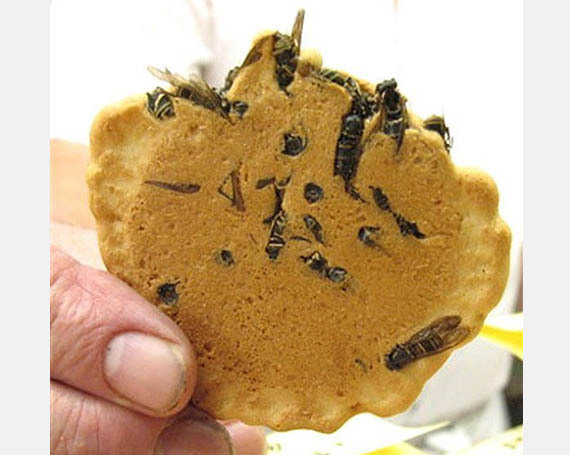 Not only do these “crackers” look more like cookies, but they’re full of wasps. How many licks does it take to get to the center of one of these? 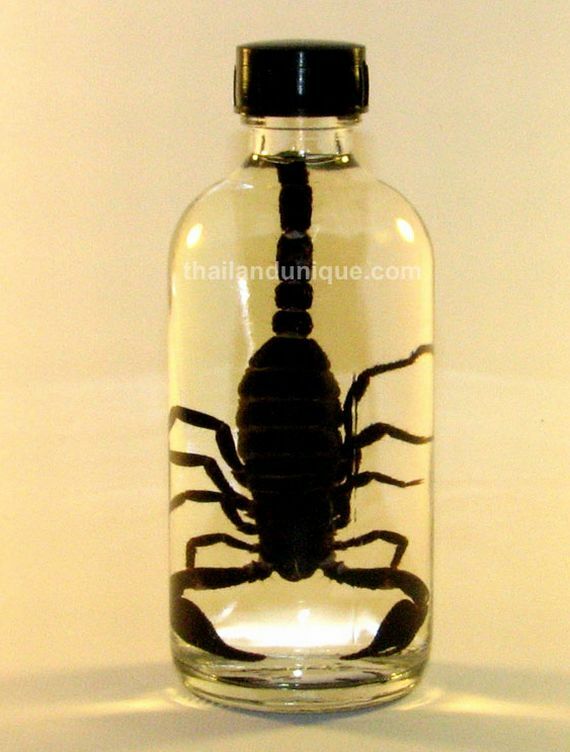 The world will never know… because there’s a scorpion in the center. 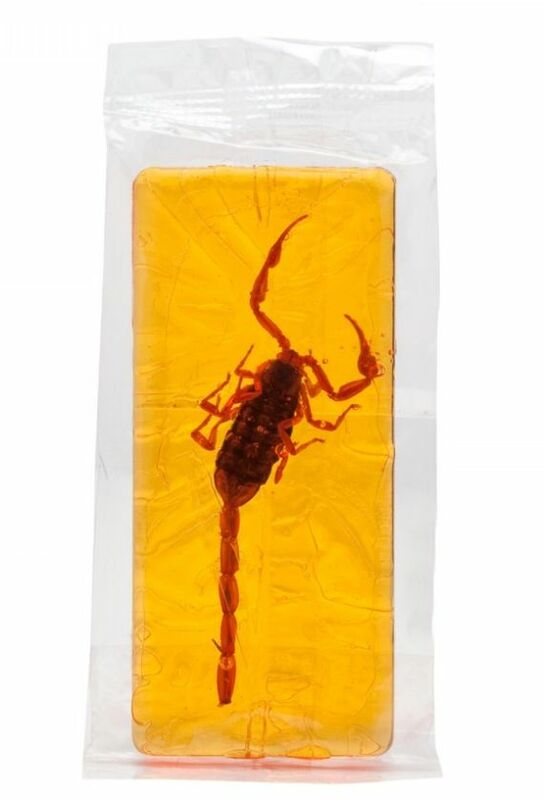 No one wants to lick a scorpion, that’s just crazy. 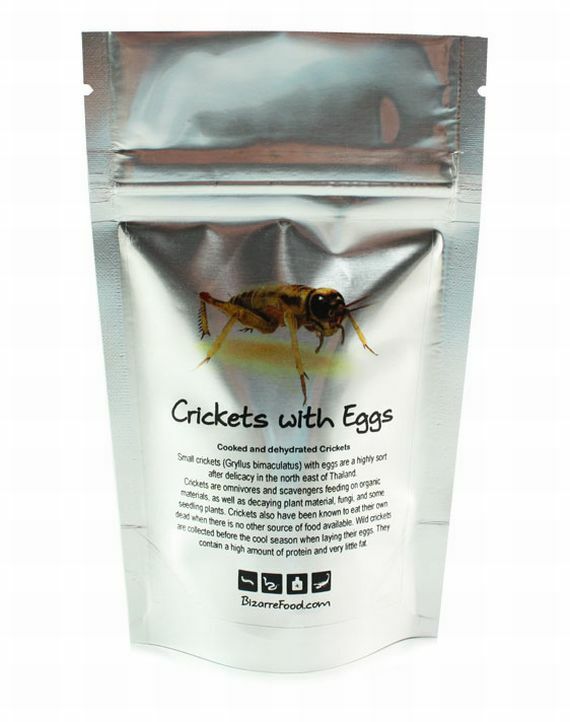 If eating crickets just isn’t interesting enough for you, try pregnant crickets. They’re full of eggy goodness! Whatever you do, don’t store these in the same cabinet that you keep peanuts in. Trust us. If you’ve been looking for the perfect spicy dip, look no further. 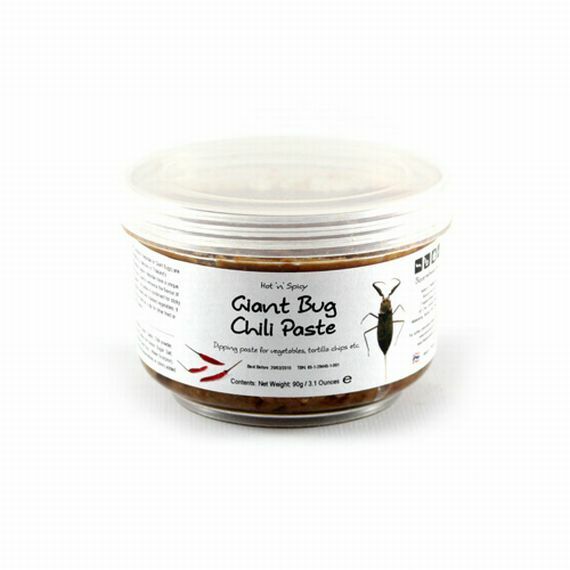 Not only does it have chili pepper in it, but it’s also got giant water bugs in it for that extra tangy flavor. 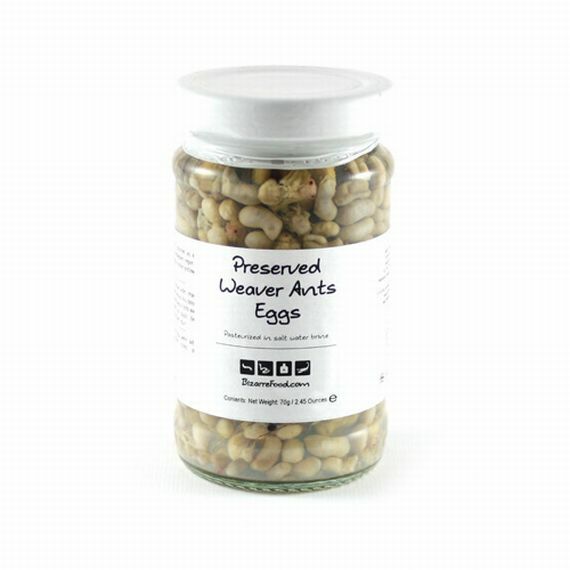 Man, we really need a drink after looking at all of this food with bugs in it… oh crap, they’re in the booze too!